An intimate yet relaxed, self-guided food and wine matching experience. 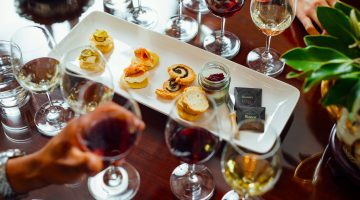 Enjoy a selection of five iconic Elderton wines, each served with a canapé made from locally sourced produce. Learn about the delicate interplay between perfectly matched wine and food flavors.